Vanns Spices is a leading provider of premium seasoning blends and spices to the grocery trade, food manufacturers, and restaurants. 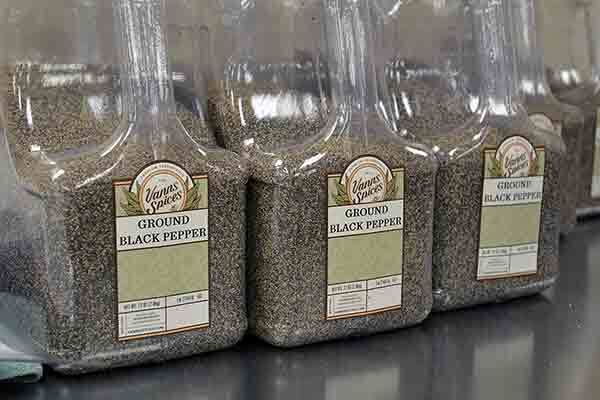 In addition to our private label program, we also craft and produce custom blends, available in bulk, portion pack, restaurant or retail packaging. Our full-service operation handles every facet of retail, foodservice, and ingredient clientele. from only the most trusted sources. We travel the world — to source the finest selection of quality spices and herbs. We select our spices based on flavor, product consistency and value to our discerning customers, all of which makes food taste better. As a trusted source of over 350 quality spices and extracts, including organic and Kosher products, Vanns Spices is positioned to deliver and manufacturer consistent, expertly sourced, spice products. Our spice products are used some of the most selective retailers, food manufacturers and foodservice professionals throughout North America. Our spices are also available at specialty grocers throughout the U.S.
Our manufacturing plant is in its fifth year as an SQF2000 Level 2 certified facility with an audit score of "excellent." We specialize in private label, custom blend and co-packing for some of the nations most recognizable brands, food-service operations and demanding retailers in the grocery trade. 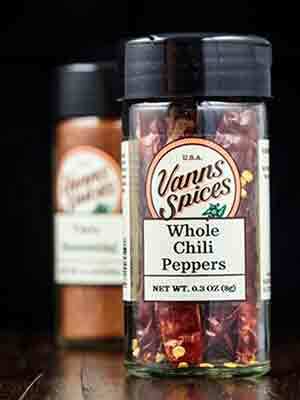 As part of our HACCP plan and supplier approval programs, Vanns Spices maintains documentation on all raw material spices indicating a lack of salmonella and other pathogens. Product samples and environmental swabs are regularly tested at an accredited, third party laboratory to ensure acceptable levels.